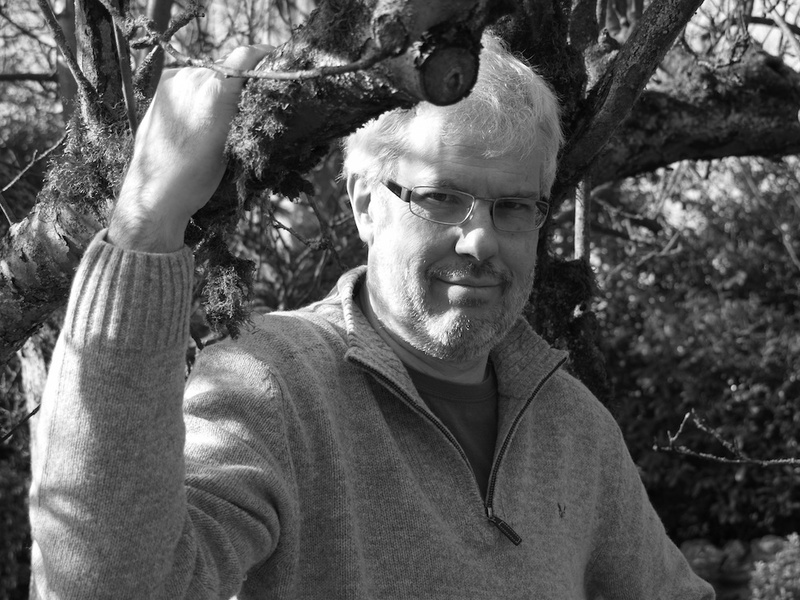 I have great pleasure in welcoming to my blog short story maestro, rib-tickling novelist and Scott Prize winner, Jonathan Pinnock. This time last year, Jonathan was in the enviable position of of having two books scheduled for publication. ﻿﻿The first was his hilarious sequel to Pride & Prejudice, Mrs Darcy versus the Aliens - the follow-up Jane Austen might have written if she'd blown all her royalty cheques on cider and DVD boxsets of The Fast Show, X-Files, and James Bond movies. The second book was Dot Dash - a collection of short stories that had been awarded the Scott Prize - the prestigious award for an author's debut collection of short stories (administered by Salt Publishing, who are currently surfing the crest of the Booker Prize wave with Alison Moore's The Lighthouse). So, two books launched at once - great, huh? Well, not quite. Jonathan and his publisher wisely decided that trying to promote two entirely different books at the same time would probably trigger an A Scanner Darkly-style schizophrenic breakdown, and delayed publication of Dot Dash by a year. It comes out next month, on 15th October. I thought this would be an interesting point in time to talk to Jonathan about his first year of having a book out, what it's like to be preparing to launch the next one, and where exactly his unhealthy obsession with tentacles came from. Okay, I didn't ask that last one but, having read Mrs Darcy, maybe I should have. Jonathan in a scene from "Mr Pinnock versus the Undergrowth"
Dan: Firstly, congratulations on your first anniversary as a published novelist! I really enjoyed Mrs Darcy versus the Aliens and, judging from the reviews on Amazon and Good Reads, I’m not alone. But how have the past 12 months been for you? What have you encountered in terms of highlights and frustrations along the way? Jonathan: Thank you! The last 12 months have been a lot of fun. There have been all sorts of highlights, but I think the best thing is when you hear from a complete stranger that they've enjoyed the book. That's the point at which you feel you've broken out of the echo chamber and you start to believe you're a real writer. The main frustration was not being able to get anyone in the mainstream media to take any interest in the book. I guess they looked at it and thought, "Oh, it's another of those stupid mash-ups," and I can see their point, I suppose. The timing was not good from that point of view. D: That must have been hugely frustrating. What would you say has been the most useful thing you’ve learnt from your experiences? J: This is a very boring, worthy sort of answer, but I guess the key thing I've learnt is "never give up until you've tried every window". I've had my fair share of rejections over the last few years, but I've responded to them by writing and submitting more and more. It's also helped that I've had several different strands to my writing. I actually started serialising Mrs Darcy out of frustration at my failure (at the time) to get a publisher interested in my short stories. D: If you had an time-warping app on your phone that allowed you to call your past self the night before Mrs Darcy versus the Aliens launched, what would you say? J: "Hello? Yes, it's me. From the future. No, I've no idea either, but it's kind of cool, isn't it? No, I'm not allowed to tell you anything like that. As if he's EVER going to win a grand slam. Especially not the US Open. Definitely not. No sirree. Anyway, about this Mrs Darcy thing: to be honest, I'm not sure there's a lot I can tell you, because the one thing I have learnt over the last year is that publishing really is completely random. Unexpected things will happen. Expected things won't. The important thing is you won't regret it for a moment - in fact the only regret you'll have is not trying harder to get published earlier. Which reminds me: I must go. I have a call scheduled with my 16-year-old self..."
D: I won't ask what you said to him! I’m interested in what this phase of your writerly journey feels like – you have one book out, another is just about to launch. Are you looking forward to the new collection taking centre stage, or are you sorry to have to put Mrs Darcy to one side after spending so long in her company? J: It feels odd. I think if Mrs Darcy hadn't come out last year, I would be barely containing myself right now, but I'm a lot calmer about it all this time around. 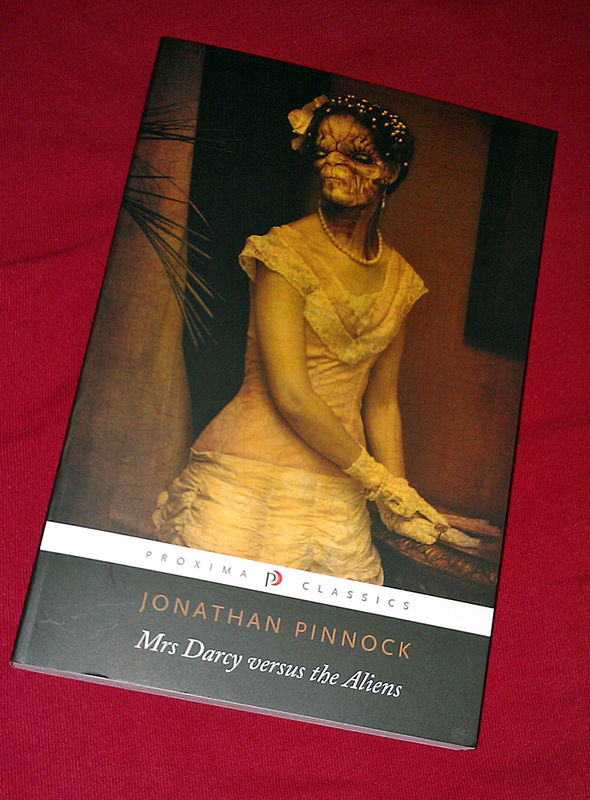 I'm happy to put Mrs Darcy to one side for the moment, because in some ways the short stories are more important to me. But then again, I would really love to write that sequel, because I loved playing with those characters so much - which is why I keep writing those special episodes. Part of me is also keeping an eye on what's happening with Book Number Three, which is non-fiction and another complete departure. D: It certainly sounds like you enjoy variety. With that in mind, how did you go about selecting / writing the stories for Dot Dash? For instance, did you pick ones that seemed to ‘fit’ together somehow, or did you not worry about (or try to avoid) common themes or links between the stories? J: I'm not a big fan of themed collections. I'm more interested in seeing what a writer can do in different genres and styles. So it was a case of picking the best stories I had. There is a concept to the book, implied by the title, in that it's a collection that alternates between very short stories (some only tweet length) and full-length ones, but beyond that, expect the unexpected. D: It sounds great. I love not quite knowing where a collection will go next. How do you think being the author of Dot Dash will be different to being the author of Mrs Darcy? Will fans of one book be happy to pick up the other, do you think – or are you looking to win over a brand new audience? J: That is a VERY good question. In some ways I feel like the comic who wants to play Hamlet - quite a few of the stories in Dot Dash are intended to be funny, but I'm also pathetically desperate to be taken seriously as a literary writer. My ideal scenario is that (1) people who liked Mrs Darcy will also read and enjoy Dot Dash (even if it isn't quite what they were expecting) and (2) serious literary types who pick up (and review) short story collections will read and enjoy Dot Dash and then check out Mrs Darcy. The nightmare scenario is that I succeed in upsetting both camps and I end up with no-one having a clue what kind of a writer I am. But then again, I'm not entirely sure what kind of writer I am myself, so maybe that would be poetic justice! Well, I guess - as you say - there's no sense in trying to predict anything in the publishing world, so I wish you luck, Jon. I've read many of your stories online and am looking forward to seeing the pick of the crop on paper. I hope it's a great success for you. Thanks for visiting, and don't forget to keep us posted about Book Number 3. Great interview, fellas. Especially like the phonecall to the past question and answer. Good luck with 'Dot Dash' Jon. looking forward to reading it. Wish you the best of sales for Dot Dash, Jon. I'm looking forward to seeing some familiar stories from VWC days and no doubt some surprises too. Thanks for dropping by, Teresa and Oscar. The new book sounds like it'll be great and it's also reassuring to hear an author who has gone through the publication process and sees it as a positive thing. There's an awful lot of people moaning about the industry for one reason or another at the moment. Thanks again for doing the interview, Jonathan. I really appreciate it.